Violinist Ariel Horowitz cannot remember life before loving music. Winner of the Silver Medal and Audience Choice Award at the 2013 Stulberg International String Competition, The Violin Channel praised Ariel’s artistic philosophy: “If they gave out prizes for attitude…we think we may have found the Olympic champion.” Ariel studies with Itzhak Perlman and Catherine Cho at The Juilliard School as a recipient of the Dorothy Starling and Arnold R. Deutsch/Dorothy Delay Scholarships. She has performed as a soloist with the Raanana Symphonette Orchestra (Israel), Neue Philharmonie Westfalen (Germany), the Western Michigan University Symphony Orchestra (USA), the Carmel Symphony Orchestra (USA), and the New Albany Symphony Orchestra (USA). Most recently, Ariel received 2nd place for her performance of the Glazunov Violin Concerto at the Juilliard Violin Concerto Competition. Ariel has appeared as a soloist in the US, China, Canada, France, Germany, Italy, Israel, Brazil, and Argentina. In the 2012-13 season, Ariel was chosen as a Junior Division competitor of the Yehudi Menuhin International Competition for Young Violinists, where she received the Morningside Music Bridge Young Artist Award and was featured in the Gala Finale Concert Hand-Over Ceremony at the National Centre for the Performing Arts in Beijing, China. She performed as a soloist and chamber musician with the Indiana University Virtuosi on a ten-city tour of Argentina and Brazil and at Carnegie Hall. Additionally, she collaborated with Maestro Raymond Harvey at the Stulberg International String Competition’s Midsummer Night’s Gala Concert and twice with pianist Christopher O’Riley, live on National Public Radio’s From the Top and in concert at the 2014 gala concert at MIT Media Lab in Cambridge, MA. Community service is a central part of Ariel’s artistic commitment. She received the Gluck Community Service Fellowship and will serve as a Diversity Advocate at the Juilliard School for the 2014-15 academic year. Ariel co-founded the student-initiated group Sonatas Stopping Starvation and was a performer and speaker at their benefit concert for The Food Bank for New York City at The Juilliard School’s Morse Hall (2013). She performs annually for the Leisure World Senior Living Community in Maryland, and in the Children Helping Children benefit concerts to collect resources for Georgian orphans. Ariel was a featured performer in the 2009 concert for the Women’s Fund of Central Ohio. 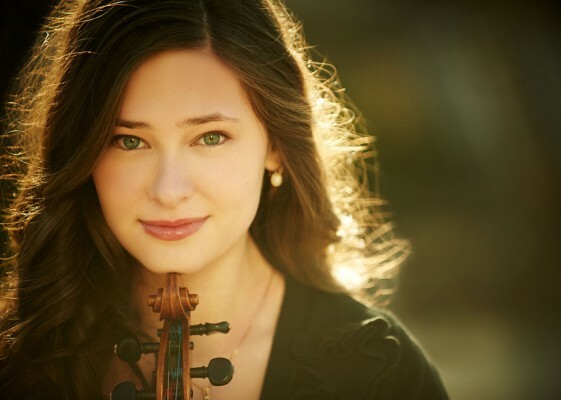 Ariel has participated and performed in summer music festivals such as The Perlman Music Program, Keshet Eilon International String Mastercourse, Mozarteum Salzburg Summer Academy, Morningside Music Bridge, Orford Music Festival, Indiana University Summer String Academy, and Ferme de Villefavard. Her previous teachers include Mauricio Fuks, Mimi Zweig, and Li Lin, and she has received additional instruction from artists such as Shmuel Ashkenasi, Ivry Gitlis, Vadim Gluzman, Joshua Bell, Edward Auer, Mark Kaplan, Miriam Fried, Karen Gomyo, and Jaime Laredo. When she is not making music, Ariel loves to read, write, spend time with her friends, family, and two dogs, and eat chocolate.